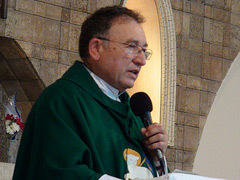 On November 16th, Father Rafael, accompanied by Sr. Reme and Sr. Kristen, flew to Ecuador. The purpose of the trip was to visit the communities of Servant Sisters in Chone, Playa Prieta and Guayaquil, the community of Servant Brothers in Guayaquil, and the communities of lay members and youth of the Home of the Mother in Ecuador. The Servant Brothers and Sisters in Guayaquil were waiting for them in the Guayaquil airport, together with many youth that wanted to welcome them. As it was already late, and it had been a long trip, they all greeted each other quickly and immediately went to rest. On Saturday, the 17th, Father visited the parish of Our Lady of Loreto, where the Servant Brothers and Sisters carry out their apostolic work in Guayaquil, celebrating mass there in the afternoon. He also visited the house of the Servant Sisters that is under construction. The work is now quite advanced. On Sunday, the 18th, Father Rafael began the day by baptizing the baby boy of one of the families of the Home in Guayaquil. Later, he met with the boys of the Home. 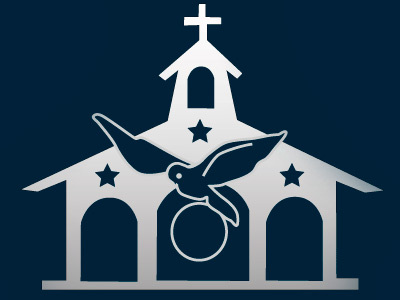 In the afternoon, after a meeting with about 50 girls of the Home, he celebrated mass in the Chapel of the Condor for all the faithful in that area and for the members of the Home. After mass, Mafer Choez and Kasandra Moreno entered as candidates to the Servant Sisters of the Home of the Mother. There were also many youth who entered as veterans and experts, and some adults also entered as Lay members of the Home. Then it was the adults' turn to have a meeting with Father Rafael, their founder. Someone asked Father what he expected from a member of the Home of the Mother, and, in a warm environment, Father answered her and spoke to them about the Home and many other things. On Monday, November 19th, Father and the Sisters went to Playa Prieta. There they ate with the community of Sisters of Playa Prieta and, in the afternoon, the community from Chone came for Mass, in which the Lay members of the Home from Playa Prieta also participated. 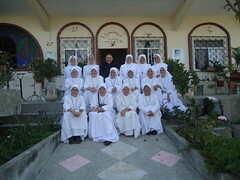 Father Rafael dedicated Tuesday to be with the communities of Sisters. They spent the day in Montecristi, at the house of the Oblates. In the afternoon, before returning to Playa Prieta, they passed by the Convent of Carmelites to say hi to them. A young religious who was a member of the Home lives in this convent; after 3 years of being in the Home, she found her vocation as a Carmelite and entered in the convent. On Wednesday morning, Father Rafael had a meeting with all the children and youth of the Home in the school that the sisters direct in Playa Prieta. In the afternoon, all the sisters left for Chone with Father. There, the members of the Home were waiting for them. Father had a meeting with them, informing them about all the news of the Home in other countries. 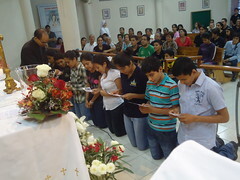 After the meeting, he celebrated Mass and baptized three girls: Domenica, Chiara and María José. The next day, Thursday, he visited the "María Elisabetta" farm to see how the fields and the animals are going. After lunch, he returned to Playa Prieta because, that afternoon, spiritual exercises began for women and girls, using the school's facilities. The exercises lasted 3 days, until Sunday morning, in which about 65 girls and women participated. The chapel in Playa Prieta was full. During the opening mass of the exercises, Aura entered as candidate to the Servant Sisters of the Home of the Mother. When the exercises had finished, some youth renewed their commitments in the Home, and they had a meeting to share the fruits received in the exercises. A girl commented that they had been the happiest days of her life, while others said that it was hard for them to make the decision to do the exercises because silence scared them but that it had been a very good experience. God speaks very clearly in silence. Sunday afternoon, Father Rafael returned to Guayaquil to fly to the United States, where the community of Sisters in Jacksonviille and the members of the Home in the United States were expecting them for the Thanksgiving Family Encounter.